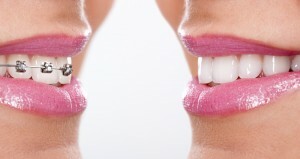 Straight, white, healthy teeth are among the most important components of an attractive smile. When your teeth look great, you feel happier and more confident in everything you do. At Complete Cosmetic Care Dentistry in Sapulpa, OK, Dr. Parnam Mohanna and Dr. Dalia Georgy transform smiles in adults and children every day with a comprehensive selection of orthodontic treatment options, giving you a warm, inviting and beautiful smile that you’ll be proud to show off. Correcting imperfections in your smile’s alignment can do wonders for your overall appearance, especially if you’re prone to hiding your teeth because of their crooked or crowded nature. Thanks to modern orthodontic technology and advancements in the field of dentistry as a whole, patients with less-than-perfect smiles can now achieve straighter, more uniform teeth in a way that suits their lifestyle. Because each and every one of our patients is different, we take a personalized approach to all of our dental services, including orthodontics. Complete Cosmetic Care Dentistry offers both traditional wire-and-bracket braces and Invisalign clear braces, giving patients of all ages the opportunity to experience a dramatically improved smile that’s as bright as their personality. When you visit Complete Cosmetic Care Dentistry, Drs. Mohanna and Georgy – along with their experienced and caring staff – will evaluate your teeth, gums and jaw to determine which orthodontic treatment best fits your unique situation. After your treatment is complete, you’ll enjoy a beautifully enhanced smile you just won’t be able to wait to show the world. If you or your children have crowded, misaligned teeth and you’re ready to see how today’s orthodontic technology can transform a smile in less time than ever before, contact our office in Sapulpa, OK today. Drs. Georgy and Mohanna also happily serve patients from throughout Jenks, Mounds, Glenpool, Tulsa, Bixby, Okmulgee, Keifer and the surrounding areas. We can’t wait to help you achieve the straight, beautiful smile you deserve!